Nestled under majestic Mt. 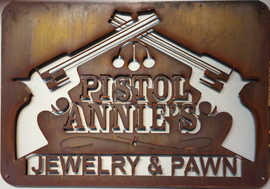 Rainier in Bonney Lake, Washington, Pistol Annie's Jewelry & Pawn specializes in firearms, diamond jewelry, gold, antiques, collectibles of all kinds, memorabilia, artwork, sporting goods, electronics, musical instruments, and all kinds of unusual items. While the exterior is modest, the interior boasts handmade cases from re-purposed lumber acquired from a more than 100-year-old Seattle building. We are the biggest little pawnshop in the Wild Wild West! 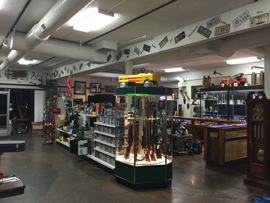 Our store has 1 1/4 acres of property for all of our goodies, and a warehouse for the big toys (like boats, autos, Harley Davidsons, motorcycles, hot rods and recreational vehicles). You don't have to be destitute or in trouble to visit a pawn shop. Savvy shoppers know, this is the place to find deals on all kinds of merchandise, along with the unusual treasures you won't find in a typical box store. It's also the quickest way to borrow money if you are looking for a small loan. Unlike many pawnshops, we have a professional numismatist, firearms experts, jewelry expert, and many variable industry experts available for consultation. We provide the residents of Bonney Lake, WA and the surrounding areas, with the best pawn services in town! Our dedicated professionals have years of knowledge and are trained to provide you with the best experience possible when it comes to buying, selling, and trading, at prices that are fair and honest. We are committed to making it as easy as possible for you to get the best prices for your items. 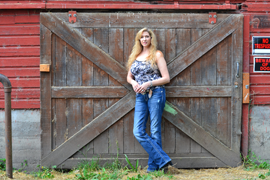 We specialize in firearms, diamond and gold jewelry, electronics, musical instruments, and tools. We also carry a wide range of merchandise extending from everyday items to the rare and unusual. Life can, and will, come at you in the blink of an eye. As such, sometimes you need money quickly to cover short-term costs. We make loans against a variety of items to help you weather the storm with our quick and easy loan system.Looking to make quick cash to pay bills or have a night out with friends? Need extra cash for that long over-due vacation? Do you have items you are looking to sell? Bring them down and we’ll take a look for you! We are competitive with pricing, and will do our best to take care of you. Whether you are looking to sell, obtain a loan, or find that perfect gift for yourself or that special someone, come on by and let our friendly staff help you. In the meantime, feel free to take a look around our site and learn more about what we have to offer. If you have any questions or concerns, please don’t hesitate to contact us at any time. Click here for directions. We carry quality items of value in a clean, well organized store. We are locally owned and operated since 2012.